Hello everyone! My name is Listy, and I am a newbie, being a first-time BMW owner. I bought a platinum bronze metallic 2007 328cic with 6900 miles in October and am loving every minute of it. The sky has been clear and blue for the most part here in Dallas, so I have had the top down, even though it may be 50 degrees outside! I've never owned a convertible or a BMW before, so I am totally ecstatic with this new purchase. She's my baby! Specs include premium package, cream beige dakota leather, steptronic, angel eyes. Had the windows tinted, iPOD ready, and Sirius activated. Welcome, the wife and I are considering a move to the Dallas area sometime in the next two years. Any advice? Welcome Listyanna. You will find a lot of very friendly, helpful people her. Feel free to ask questions. Thanks Michael. You know who I am. I think that's your car hidden beside mine in the avatar. I know Prescott, AZ is beautiful, but hurry back to DFW! Really? You mean this one? I'm from Dallas also. What area are you looking to move? There a lot of great areas. What's your motivation to come here? I do not want to hyjack the thread but if you will indulge me here goes; we are currently living in the Seattle area. Too wet, very little sunshine and far left politics (we lean more right, but not ultra-right), not to mention the traffic here is awful and home prices are way up there. I am retired, like the idea of no income tax (we have none here in Washington as well) and my wife works for the Federal Gov. in a regional office. Dallas has a regional office, we like the idea of the home and land prices in the Dallas area and have looked at homes in the Greenville area (on line). We need to be within commuting distance to Dallas, (is Sulphur Springs too far?) and would like acreage if possible. Are there areas to avoid, places where the traffic is worse than another area, bad climate areas, etc? Thanks in advance for your input. 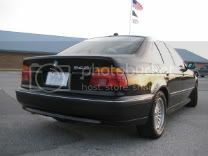 Nice car and welcome to the forums and BMW. All you Dallas people must be Cowboy fans. All I can say is Wade Phillips is not a good coach and Tony Romo is OVERRATED . Go Giants!!! My aunt has the same exact car in Boca Raton, FL. Thanks for the welcome, Chris. I don't follow football much, but I hear that the Giants are doing well again this year. How's your aunt enjoying her car? She loves it! I drove it around when I was in FL back in August. The 328 gets no love because of the 335i. However, the 328i is no slouch. It's only a matter of time before someone slaps their own turbo system in the 328i... only with a bigger turbo (or turbos) putting out more power than the 335i. Turbo <perk> - Ohh that would be awesome. A group of us was leaving a sushi restaurant and noticed a new M3 parked next to my car. All the guys were ooh'ing and awe'ing, and I must admit, it looked sweet. I had to usher the guys in my car and take off. Weather today - 64 and sunny. Had the top down and cruised back to work. Wind in my hair always puts a smile on my face, even if I'm having a bad day. We're suffering here at about half that. Funny you mention Greenville - I was there Sunday for a Thanksgiving luncheon. The traffic into downtown Dallas is a bear during rush hour, especially anything east of Lake Ray Hubbard. I have a coworker who lives in Greenville, and it takes an hour and a half to get to work (Irving/DFW Airport), and that is with him getting to work by 6:30am. Sulphur Springs may be too far out to commute to Dallas on a daily basis. There's always some sort of accident somewhere, and it will extend your commute time. The complaint about our area is that everything is spread out throughout the metroplex, and our railway system is pretty limited. What particular part of Dallas is the regional office located? With regards to real estate, land and houses are cheap in Dallas compared to Seattle. What you have to be careful is the property tax. I had friend from California buy a nice house in Southlake (Tarrant County). Nobody told him what to expect, and was surprised to find a $15,000 bill due in 2 months (based on 3% of $500,000) at the end of the year. Most people include the property tax as part of their mortgage payment, but that could increase your payments substantially. When you speak to a realtor, ask how much the property tax is for Greenville. Based on the below article, the tax rate for Greenville is 2.7325%. We have tornados in the spring (mostly March - May). Botond - would you hate me if I said the weather is supposed to warm up to the mid 70s this week? 1301 Young St Dallas Texas, that is where her office would be. I heard about taxes there, I pay a little over two percent here so I see what you are saying. Do you recommend one area over another? No - hate is a strong word! I'd just be jealous. Because we don't have a state income tax, the property taxes are higher, but that's all over Texas. You can deduct them from your federal, though. We do not have a state income tax either and we deduct our sales tax from our federal forum and property tax. Thanks Listyanna for all your help.